Where is Laem Hin Seafood? 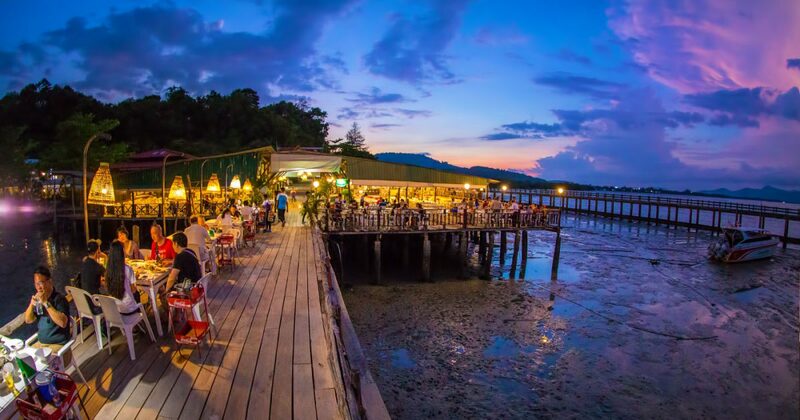 Laem Hin Seafood is one of the best known local seafood restaurants in Phuket. 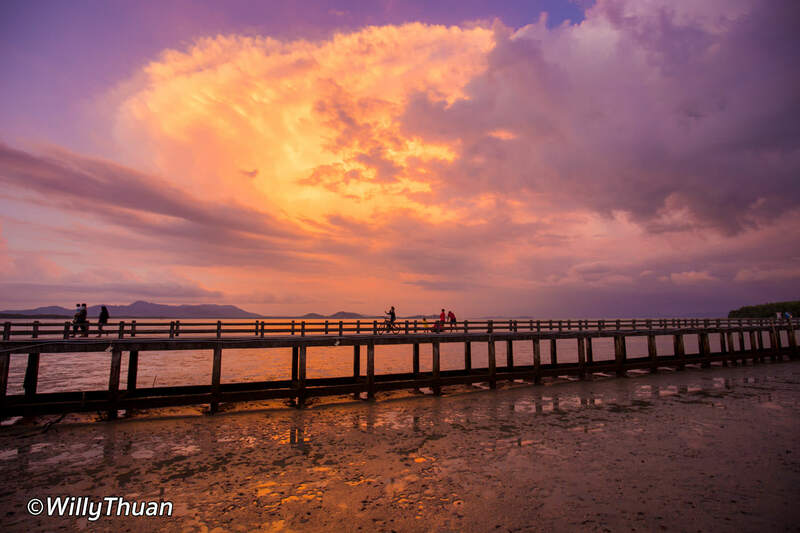 Located on the east coast of the island, Laem Hin is huge but get pretty full on weekdays dinner and even more on weekends. The setting above the water is charming but it’s not what you would call a romantic restaurant, it’s a little too busy for that. However, if you can arrive around 6 pm, you will find the place pleasantly quiet and breezy. 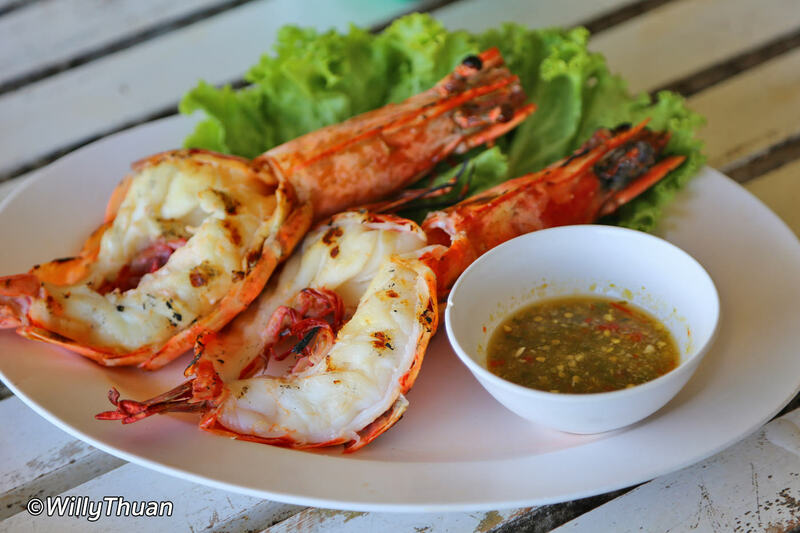 The success of Laem Hin comes from their excellent and very fresh seafood, plus a vast range of other southern Thai dishes. And once you start knowing what good Thai food tastes like, it will be hard for you to go back to those tourist restaurants in Patong. Fish, crabs, prawns and shells are delivered directly by local fishermen and kept alive in large tanks you can see in the kitchen area. 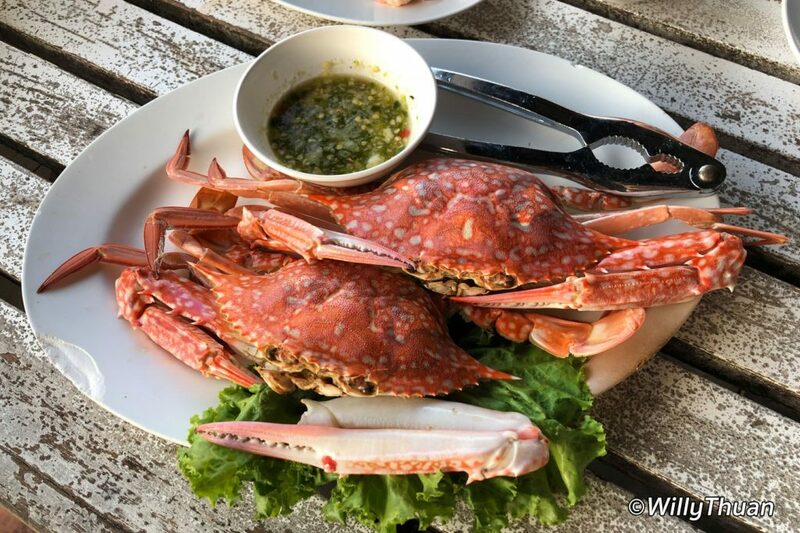 The menu is extensive and will please both new visitors to Phuket and those who are already familiar with real Phuket seafood. We usually order a couple of blue crabs, which has delicious sweet meat and are is easy to open, unlike the hard to eat (but also excellent) mud crab. Of course, the crab is blue before cooking and turn bright orange once steamed or boiled or grilled, but everybody knows that. Most of the seafood, crabs, prawns and fish are charged per 100 grams, so they usually ask how big you want your fish, but overall it’s not very easy to guess how much food you get. The two blue crabs you see on the photo below were in total 600 grams and cost 420 baht. Thai oysters are also fun to try and good once you get used to the different dressing. Here, oysters don’t come with wine vinegar, but with garlic, chillies, lime, fried shallots and some leaves I don’ remember the name. They look like overgrown Fines de Claire, maybe 4 to 6 time bigger than the classic oysters, so big, you will need to cut them in 4 pieces to eat them! The fish grilled in a salt crust is particularly delicious, moist and tender and served with a nice seafood sauce. A must try (360 baht). There is ample parking so you can park your car quite easily. To go there from Patong by Tuk Tuk will be a bit of a challenge since it is quite far (21 km – 35 mn) and the ride might cost you more than the meal. 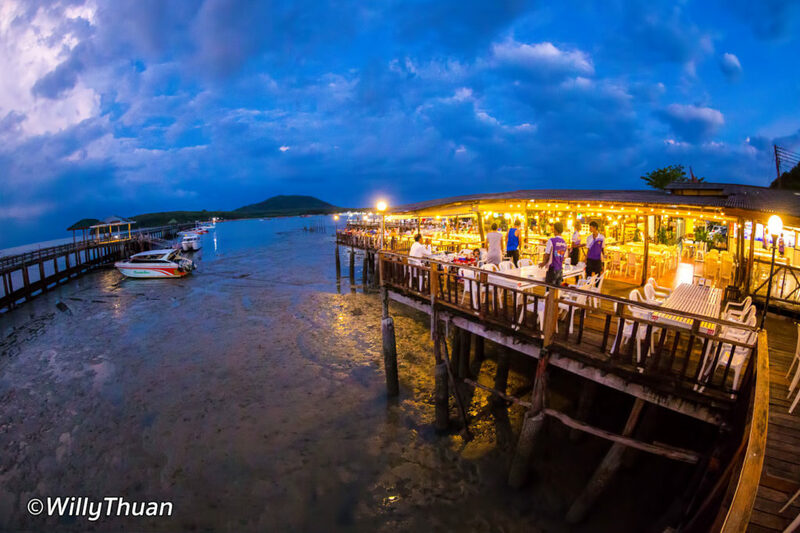 If you want to try something even more memorable, get a long tail boat ride from the Laem Hin jetty to one of the floating restaurants you see in the far. It’s only a 5 min ride, but the atmosphere is fantastic.